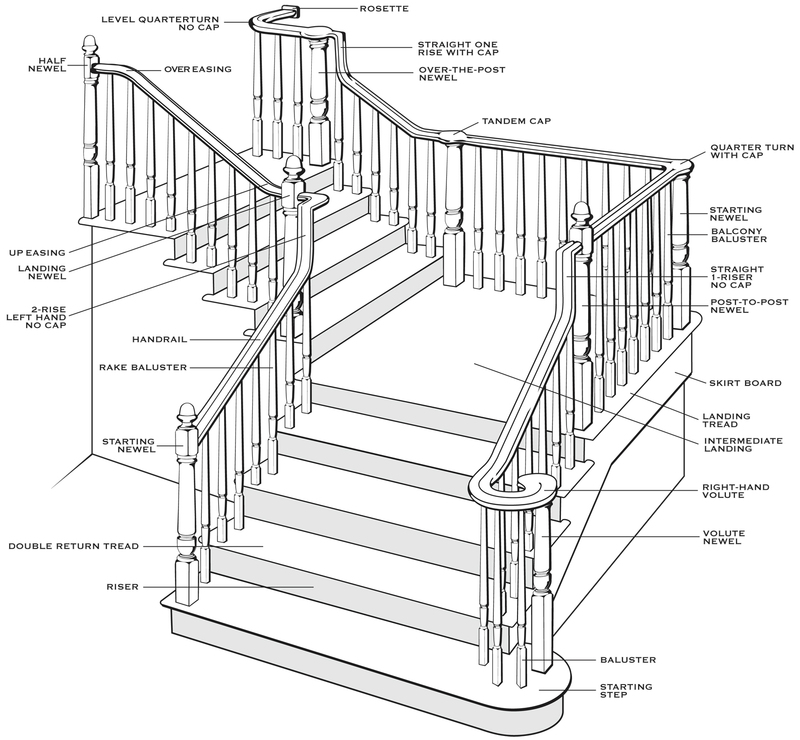 Our stair part diagram lists is the commonly used stair parts you’ll need for your stair design project. Creative Stair Parts is a stair part manufacturer and specializes in top quality wood stair parts, and other stair supplies. If you need any assistance in determining which stair parts and or wood species are right for your project, please Contact us by submitting an inquiry or call (630) 758 1740. Order cover moulding for under every tread. If you have return treads add 1.5 feet for each return. Order cove to go under all landing tread. Order a pin top 42” or 48” newel when handrail runs are longer than 8′ on balconies. Use with a tandem cap. Staircases have the ability to set the stage for your homes architectural design. they can provide a bold and beautiful statement of your house. Creative Stair Parts Gallery enables you to envision and design the perfect stairway, bringing life to your house.